In the cannabis market, nothing will better indicate potential success than examining the expansion plans of a particular company. Where is future growth coming from? How is the company doing penetrating new markets where marijuana is now legal? Expansion is the lifeblood of growth. Without it, it makes little sense to pay a premium valuation for the stock, even marijuana stocks. For example, cannabis beverage company New Age Beverages Corp. (NASDAQ: NBEV) recently announced a big distribution deal with Walmart. That’s the sort of expansion plan that will be very positive for any stock. So pay close attention to the earnings report for any announcements relating to expansion. As mentioned above, most marijuana companies are losing money. That means capitalization is critical for surviving long enough to carve out a piece of the trillion-dollar pie. The best way to judge if a company has enough capital to survive the period of operating losses is to monitor the cash and cash burn rate. If the burn rate is slowing, that should be interpreted as a very positive sign. If the burn rate is accelerating, I would be concerned. 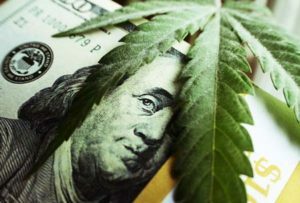 One big reason to worry is when a marijuana company goes to the public market to raise capital to manage the cash burn rate. That means dilution and more stock on the market, lowering the value of the company to current investors. In the world of “prove it to me now,” the current cash burn rate is critical to watch for any pot stock investor. Losses can only be tolerated for so long before investors become anxious. That anxiety will manifest itself into selling pressure – similar to what we saw with Tilray over the last six months. This is where projections and guidance from the earnings report come in handy. Management must be able to tell the market what is on the horizon with respect to both revenue and profit. In the quarterly report, these projections are truly the most important barometer worth watching, especially for companies in the earliest stages of operations, like pot stocks. Any signs of weakness toward the future, and investors will likely sell first and ask questions later. The ultimate goal is to make money in the market, and marijuana companies need to show that they can be profitable. Otherwise, the huge premium on valuations will disappear. On the other hand, strong projections can be the trigger for more share price gains. Keep a close eye on the projections and compare to previous statements.